1. Mix bengal gram flour and maida. 2. Add a pinch of baking soda, chilli powder and salt. 3. Mix together to make a watery dough without any lumps. 4. 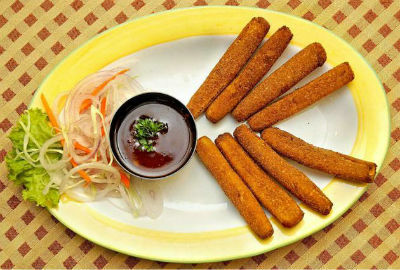 Dip the baby corn pieces in the dough and fry in oil till crisp. 5. Remove, drain and serve with tomato ketchup. 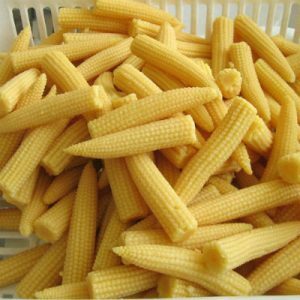 Feel free to comment or share your thoughts on this Baby Corn Fingers Recipe from Awesome Cuisine.